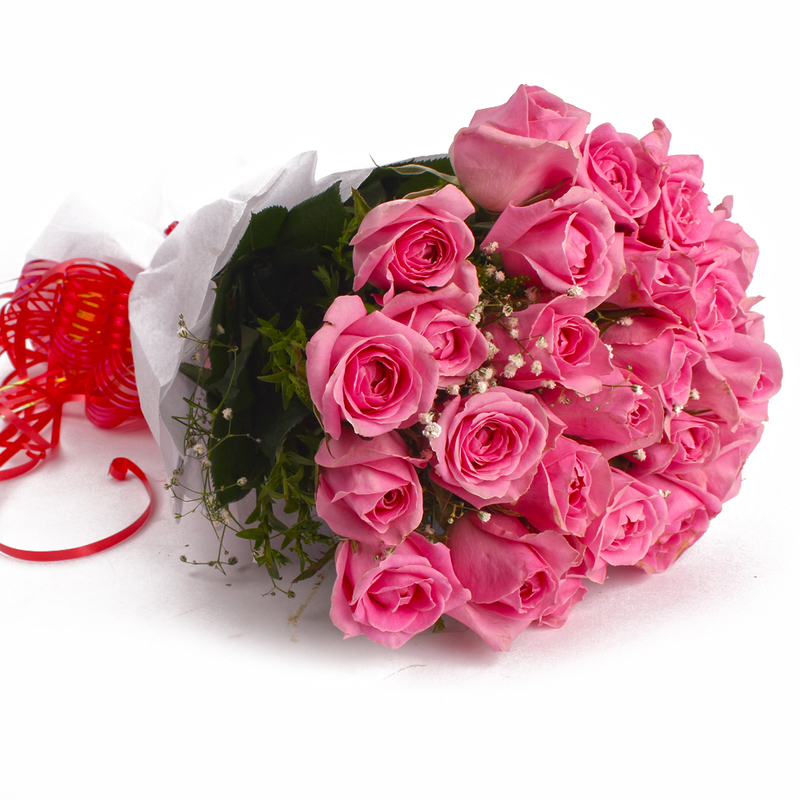 Falling in love with this pink roses bouquet is but natural. 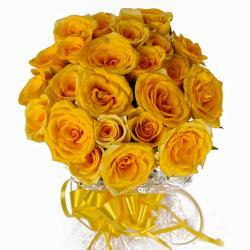 The freshness and beauty of roses will sweep you off your feet. 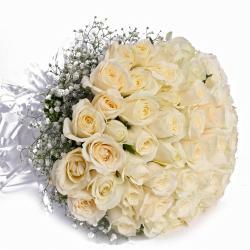 These flowers stand out for their vivacious elegance and their soothing soft pink color alike. 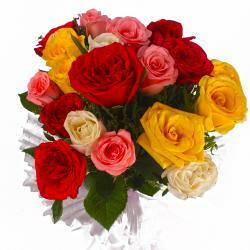 They have been neatly packed and embellished in tissue paper for added quality. They also come with a cute matching ribbon bow tied onto the top for an extra charm. 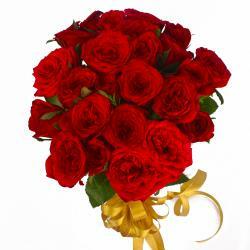 These flowers will be charming gifts on Birthday, Anniversary, Congratulations, Karwa Chauth, Republic Day, and even Valentines Day. 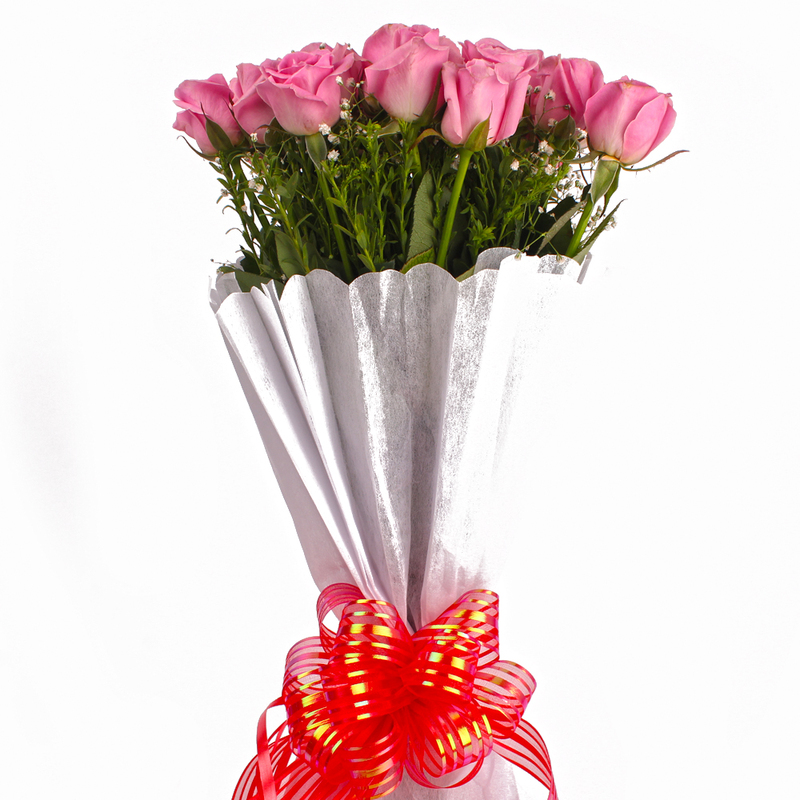 Product contains : Twenty Five Pink Roses with green fillers in Tissue Paper Wrapping with Ribbon Bow on it.